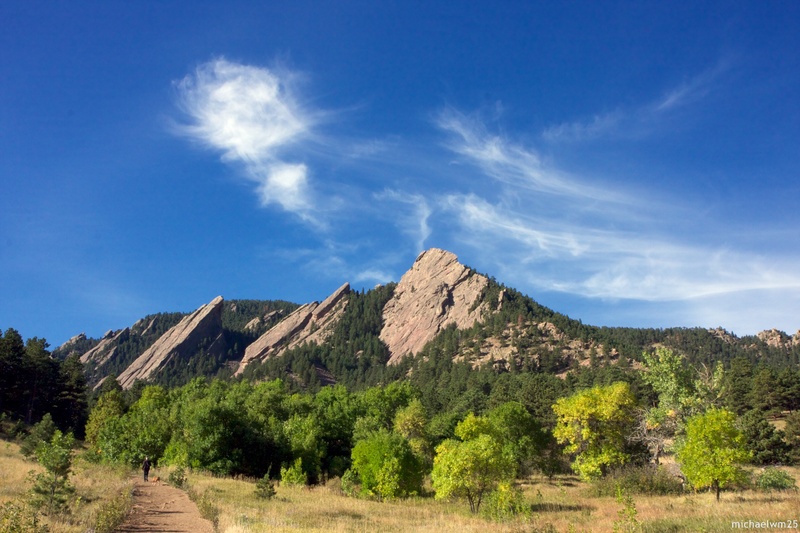 The trails of Flatirons deliver views of the city skyline and mountains. They range from fairly easy to challenging, and many are wheelchair-accessible and open to horseback riding. Bikes are allowed on certain trails, picnic facilities are available throughout the area, and restrooms are located at the trailhead. Parking is available for a fee, and you'll find bus connections close to the trailhead. Look for coyotes, songbirds, mule deer, and other wildlife. Bring water and snacks to keep yourself fueled. Put Flatirons and other Boulder attractions into our Boulder online vacation planner , and watch your holiday take shape. Beautiful views but trails were much more strenuous than some of the others we went on during our trip. That being said, it is less crowded than other mountains we hiked. I would recommend going early because we went later in the day and the sun started to set quick. Ended up having to hike down with the flashlight on our phones and we weren't the most experienced hikers. Amazing trails and places to go and visit. Wear a Hat and Sunscreen! Great place to visit! !